Christensen Arms just unveiled a new rifle for PRS competitions and tactical applications. 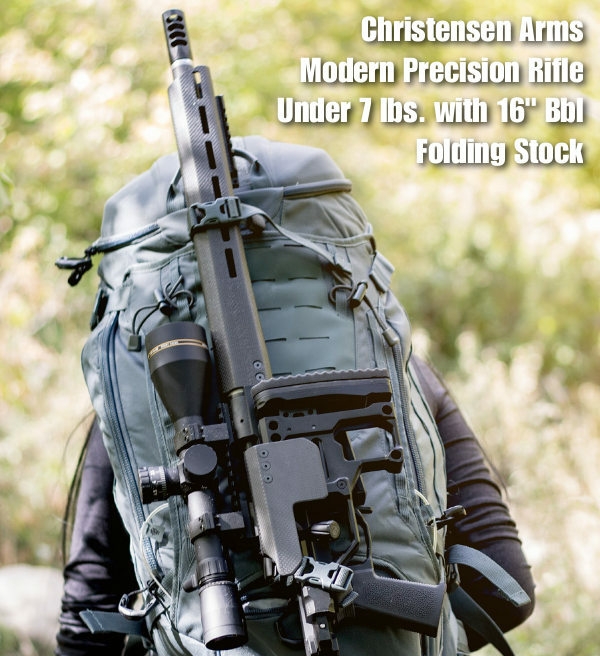 Christensen’s innovative Modern Precision Rifle features an all-new, proprietary chassis system and weighs less than seven pounds (for the 16″-bbl .308 Win version). The Modern Precision Rifle sports high-tech features, such as carbon fiber handguards/fore-end and cheek-piece, and black nitride-coated bolt, receiver, and muzzle brake. The rifle comes complete with a +20 MOA scope rail and a true folding stock with magnetic closure. The Christensen MPR carries a $2295.00 MSRP. That’s a grand more than a Ruger Precision Rifle, but the Christensen MPR’s action runs smoother and the gun is much, much lighter. The fore-end also feel better in the hand and the Christensen Arms rifle balances better than the Ruger. The Christensen MPR is made from top-quality materials throughout. The chassis is machined from 7075 billet aluminum and features V-block bedding to promote superior accuracy. Other features include an adjustable folding stock with a locking hinge mechanism, and oversized, fluted bolt knob. 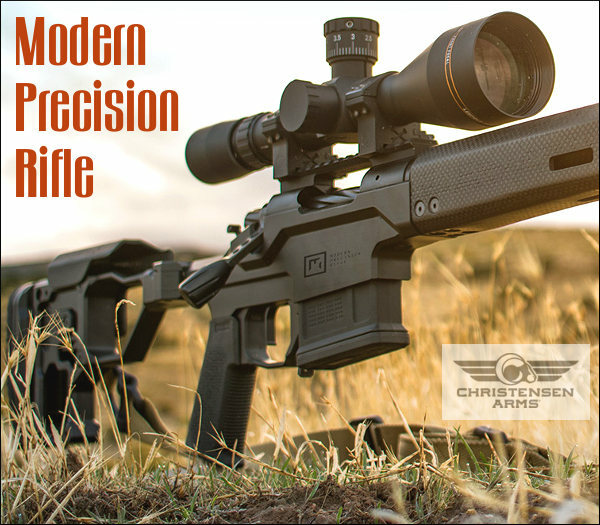 The Modern Precision Rifle is built with a carbon fiber-wrapped barrel, free-floating handguard, and adjustable comb. The rifle is guaranteed to shoot sub-MOA. Initial chamberings include 6.5 Creedmoor and .308 Winchester in a variety of barrel lengths. Additional calibers, including long-action offerings, are expected in 2018. 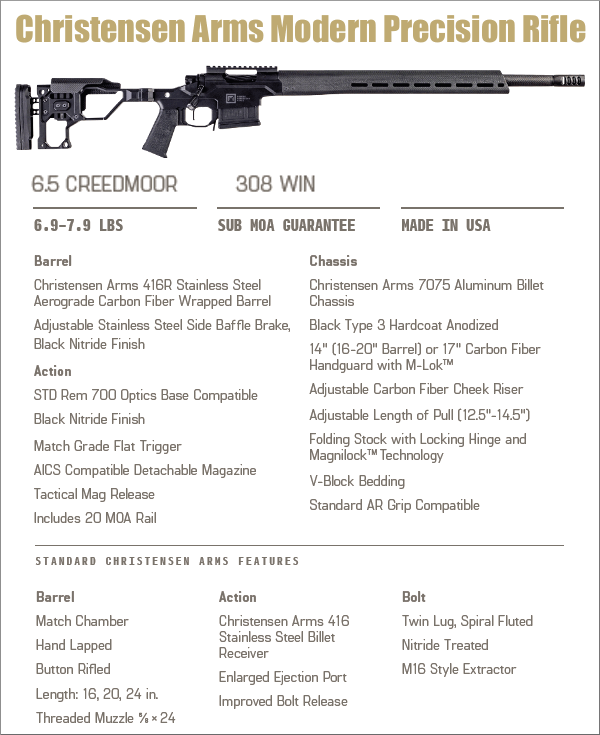 The Modern Precision Rifle will hit dealers’ shelves within the next 6-8 weeks with an MSRP of $2295.00. Visit the Christensen Arms website for full specifications, technical drawings, and more photos. 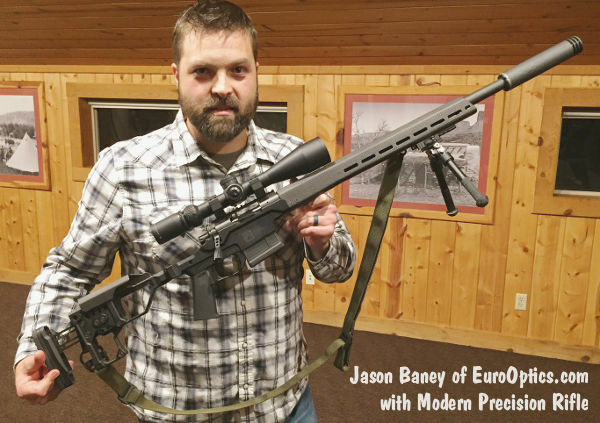 Share the post "Modern Precision Rifle — New from Christensen Arms"
We were pleased to see our friend John Whidden featured in the October 2017 issue of Shooting Sports USA. 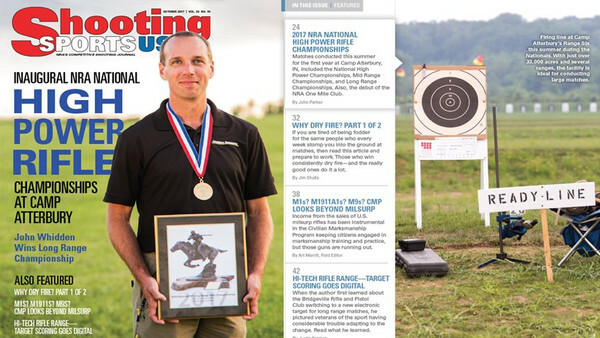 John captured the 2017 NRA Long Range Championship this summer, his second LR title in a row, and fifth overall. This year was a bit different, as the competition was held in Indiana at Camp Atterbury. All John’s previous Long Range HP titles were earned at Camp Perry. Another friend, Anette Wachter, is featured in this issue as well. That’s the 30CalGal herself in the upper right after winning the Andrus Trophy Match. Since John captured his fifth Long Range crown with a superb performance in the Palma match, we thought we’d give readers a look at John’s very special Palma rifle. This unique .308 Win prone rifle features a Barnard “P” action in a converted aluminum Anschutz “Precise” smallbore (rimfire) stock. 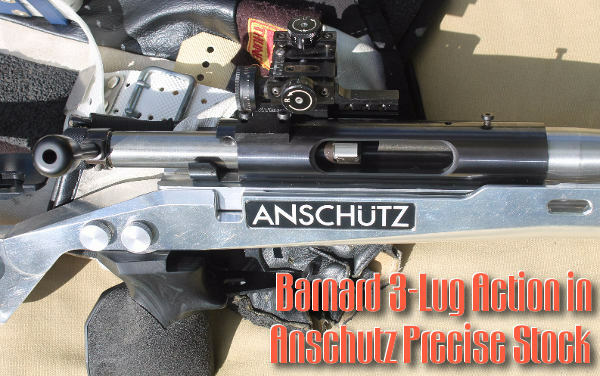 The combo of Barnard action and Anschutz ergonomics is hard to beat, says John, who told us: “this is easily the best Palma rifle I’ve ever had.” John told us this gun handles like no other: “After recoil, with this Anschutz stock, the sights fall right back on target — better than any other prone rifle I’ve shot”. John built this Palma rifle in early 2016. With it, John won back-to-back long-range Championships in 2016 (Camp Perry) and 2017 (Camp Atterbury). The major components are: Barnard ‘P’ action, Anschutz Precise smallbore stock, and Bartlein barrel. The caliber is .308 Win, as dictated by the Palma rules. Palma matches are fired from 800, 900, and 1000 yards utilizing iron sights only. No optical sights are allowed. 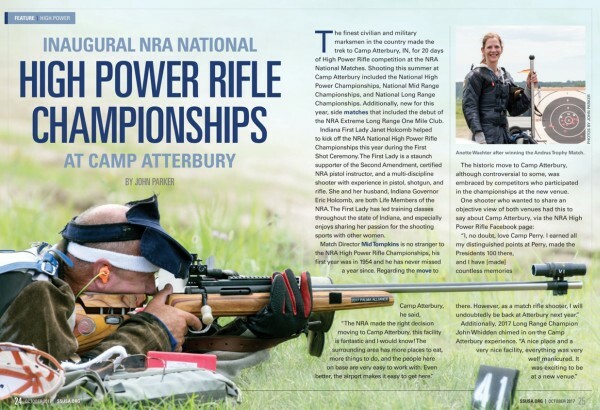 Share the post "National High Power Championships in Shooting Sports USA"